Home Export The History of Ovens: How Have They Evolved Through Time? You want to cook a nice supper with a cake for dessert to impress your new in-laws with your amazing cooking skills. You set the oven temperature, let it preheat, and then roast your meat and potatoes. Later, you bake two round cakes that you stack and frost into a delectable treat. It was a fairly easy process. You never had to really think about anything while it was cooking in the oven. If this had been a hundred years ago, the story would have been much different. You would have had to watch the oven the whole time. You may have even had to add some wood or coal to keep the temperature on target. It would have been a much bigger production, and the results probably wouldn't have been so tasty. Luckily, you had a modern oven that is easy to use and worry-free. You probably never think about the struggle our ancestors had just to cook a meal because we have it so easy. But looking back on the history of the oven can make you feel incredibly grateful. Let's take a walk down memory lane and look at the oven through the years. The whole idea of cooking food was probably an evolutionary necessity. If you've ever eaten an undercooked piece of chicken, you will totally understand why food must be cooked completely. We actually don't know a lot about the very early history of cooking. But what we do know is it all started with the discovery of fire. Fire is the reason why historical evidence of cooking is hard to come by. Any evidence there ever was would have burned up as the fire burned out. Evidence of hearths from 40,000 years ago that tell us some about the beginning history of the oven. So we know our ancestors must have cooked their food in some way. The Romans, Greeks, and Egyptians all used brick ovens. Wood was the fuel source for these ancestors. This probably evolved from open fire cooking to someone deciding to put bricks around it to contain the fire and allow for cauldrons to be put over top the fire. They were probably tired of having to line up with buckets to stop fires from consuming their villages. Or maybe everyone was just over the ash taste in everything they ate. Perhaps a few people even longed for food that wasn't all dry and burnt. By the middle ages, hearths were being built with chimneys. In fact, there's a record of the first cooking apparatus similar to an oven in 1490 France that was built from brick and tile. Not much more evolved after this point for a while. So, by Colonial times, people were still using wood-burning ovens made of brick or sometimes mud. The issue with wood ovens was the smoke. It created a lot of it. People were tired of being enclouded in black smoke and sent into coughing fits every time they wanted something to eat. The more inventive minds set out to improve upon the oven to make cooking a little less irritating. Chimneys became more widely used. Some ingenious person also invented the flat top that let pots sit on top of the oven. This was amazing because it meant the lady of the house no longer had to lug a cauldron to the fire to cook a meal. Plus, the cooking holes could be covered to contain the heat and smoke. Of course, things were not perfect. In fact, many homes didn't even have their own oven. The only people who really had their own oven were the upper-class people who had the money to buy one. The poorer folk were left sharing. Communities would share an oven, and all the women would do their baking together. In some places, there was a town baker who would take in everyone's dough and bake the bread for them each day. Sharing wasn't all that bad. It did save fuel, which was both wood and coal by this point. But, really: Would you really want to wake up early every day to make dough and then have to walk with it and your kids to town to bake the bread? Probably not. If we still had to do that today, I'm pretty sure many of us would be going without bread more days than not. And, even once everyone could afford to have their own oven, it was still not ideal. By the 1700s, Germany was cranking out cast iron ovens that would contain the smoke. This solved one issue, but there was still a problem. Cooking on a wood or coal oven was a real pain in the neck. You had to watch it at all times so it wouldn't get too hot or too cold. It was a constant battle to keep the temperature where you needed it. Some were lucky and learned the flour test where they threw flour in the oven and could determine the temperature based on how fast it browned. Those who were not too good at temperature regulation likely ate many burned or undercooked meals. Yuck! A change was desperately needed. By the end of the 1700s, a guy named Benjamin Thompson, who was also known as Count Rumford, invented a cast iron stove with adjustable temperature controls. Woo hoo! You could remove the top hole covers to make the oven cooler or keep them on to retain the heat. It wasn't perfect, but for the poor souls who battled every day, it was something to be happy about. The thing was so big, it really wasn't usable in people's homes. So, not a huge win after all. Eventually, though, gas and electric really helped to change things in the 19th Century. At least for those who had access to gas and electric in their homes. These new ovens were small and many times fancy looking enough to become a showpiece for a kitchen. Coal and wood stoves were still around, of course, since not everyone had gas or electric. But for those who did, it was amazing. No more cleaning ashes or soot for those lucky ducks. The temperature control was still a bit iffy. Even with the advancements, it was still not an exact science. It really wasn't until the early 20th Century and the invention of the thermostat that temperature control issues were greatly reduced. A thermostat, while wonderfully helpful, is not 100 percent accurate. Despite all our high-tech abilities, thermostats still have a 10-degree margin of error in either direction. Ovens have continued to evolve with new inventions and ideas being introduced even today. By 1946, we even had the microwave oven.It wasn't quite as popular back then as it is now because people were a little afraid of it, but nowadays, pretty much everyone has one in their home. So, there you have it, a quick rundown of the evolution of the oven. There is still a lot more to learn about ovens. So, don’t walk away now. Why was cast iron such a popular material choice for ovens? Who is James Sharp and what did he have to do with ovens? Why were ovens crazy colors in the 1950s, '60s, and '70s? Find out all this and more as you keep reading. People in the Middle Ages used roasting pits, kilns, and cauldrons to cook food over fire. 1490: The first recorded oven in France. 1600s: Cooking in an oven was a huge task that required adding more fuel or opening the door to let out heat in order to regulate the temperature. 1728: Mass production of cast iron stoves helped make them more available to everyone. They were called five-plate or Jamb stoves. 1741: Ben Franklin invents the iron furnace stove or Franklin stove. 1800: Around the turn of the century, Count Rumford introduced the Rumford stove. 1826: James Sharp invents the gas stove. 1833: Jordan Mott introduces the baseburner coal oven. 1834: The Stewart's Oberlin compact iron oven was patented. Plus, gas stoves were first commercially produced. 1882: First electric stove introduced by Thomas Ahearn, but it was only used commercially in the Windsor Hotel in Ottawa, Canada. 1891: Carpenter Electric Heating Manufacturing Company debuts an electric oven for the home. 1893: Carpenter Electric Heating Manufacturing Company exhibits its electric oven at the Chicago World's Fair. 1896: William Hadaway gets the first patent on an electric oven. 1910: The use of enamel on the outside of ovens becomes popular due to it making cleaning easier. 1914: Convection oven invented but not sold to the public. 1945: First commercial convection oven, the Maxson Whirlwind oven, sold to the public. 1946: Dr. Percy Spencer discovers microwaves can cook food and invents the microwave oven. 1967: The first microwave ovens are sold to the public. 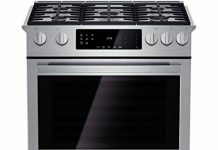 2016: Samsung introduces a Wi-Fi enabled oven. The oven has come a long way. From our ancient ancestors cooking over an open fire to the high-tech gadgets of today, the humble oven has always had one goal: to provide us with delicious food. Still, you may wonder more about the ovens of the past. You may even be curious about the many features available on today's ovens. 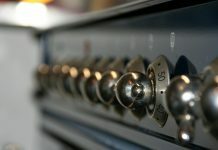 So, let's take a look at each type of oven throughout history and learn a bit more about each of them. It all started with the humble hearth. These used to be open and sit over a fire pit. I'm pretty sure women probably led the way to the invention of the wood oven that they could have in their homes. I mean, imagine having to slave over an open fire pit alongside every other chick in the village just to feed your family. Who has the time or patience for that? Could you imagine the squabbles? "That's my cooking spot, Janet. You aren't stealing it from me again today." The wood oven was a blessing and a curse. It let women start cooking in their homes, but it was a process to ensure that food didn't end up burnt on the outside and raw on the inside. There was a very good reason why women stayed home, and men worked. Someone had to be home manning the wood stove all day. While wood ovens often doubled as heating sources, modern ovens are not designed for heating. Trying to heat with an electric oven is a waste of energy, but heating with a gas oven could lead to carbon monoxide poisoning, which is deadly. It got the job done, but new inventions were on the horizon that would make a woman's life so much easier. The cast iron oven was a huge hit with the ladies. It was a bit easier to regulate the temperature. It held up well to the constant fluctuations from hot to cold. Plus, iron was easy to cast and mass produce. It became quite popular as America saw a rise in iron mining. These ovens were pretty big and super heavy. So, if you got one, it better be on a stable and strong floor. They still used wood but could also burn coal, which was seeing a rise in popularity thanks to an increase in coal mining. These monstrous ovens doubled as a heating source. Perfect in the cold winter, but a huge problem in the summer. Could you imagine the sweat-inducing heat one of these bad boys would give off in the midst of a humid, boiling summer day? Ugh. 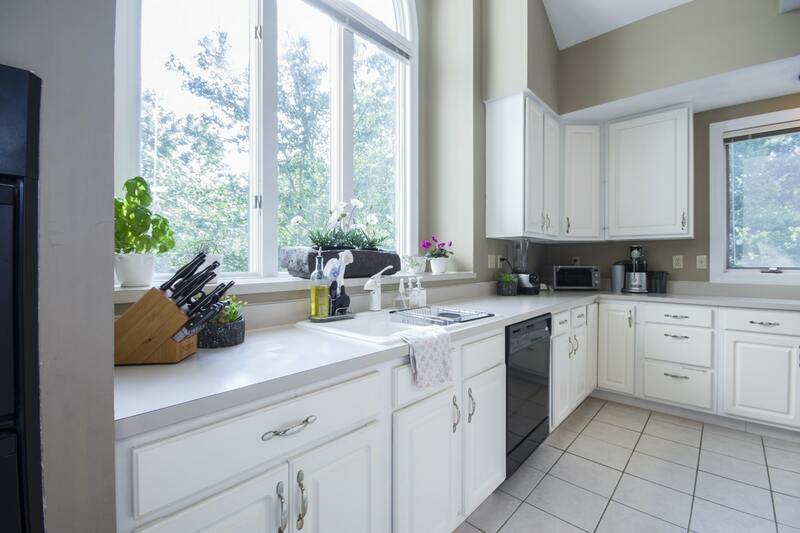 Summer kitchens were popular in the 18th and early 19th Centuries because they allowed cooking during the hotter months of the year without overheating the family home. However, cast iron ovens also helped spark the inventive minds of many people who started making improvements. These included grates in the cooking holes and better chimneys. It wasn't until 1834 that gas ovens really were used in homes. This was when they first began being commercially produced. Cooking on one of these ovens was a luxury because the temperature control was unbelievable. There wasn't any clean up. No cleanup scoop or soot to wipe. Furthermore, there was no coal to scoop or wood to stack either. Fun Fact: Gas ovens are more energy efficient than electric ovens. You could cut your energy costs in half by using gas. It was really a big step forward for the long-suffering housewife. Of course, some poor women were stuck using wood and coal until gas lines were ran to all homes. But they were liking chomping at the bit to get their hands on one of these babies. Gas stoves were elegant. They really elevated the kitchen to a whole new level. Most of them had a design made to look like a cabinet. They stood on spindly legs and were super stylish. They didn't give off a bunch of heat, so no more summer sweatfests just trying to make a meal. Gas and electric have always been in a battle as the top home utility. Much to the gas industry's dismay, the electric oven made its debut in 1892. 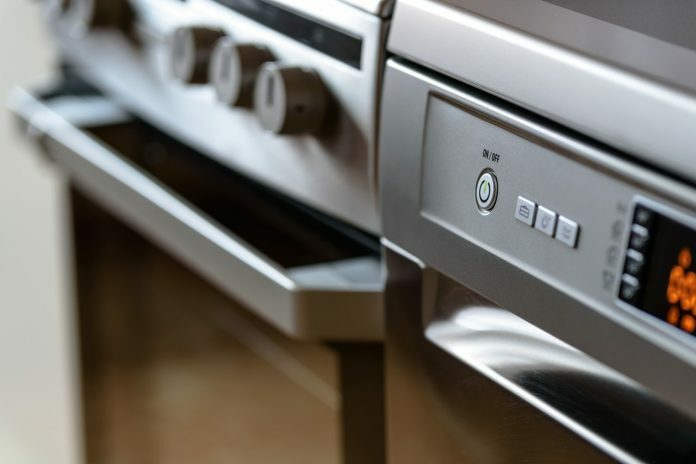 The electric oven really became top competition to the gas oven around the end of the 1920s and beginning of the 1930s when electric became more widely available in homes. Again, as it did for gas, technology had to catch up. Electric ranges looked very similar to the gas ovens and operated in the same easy manner. The chest of drawers range was incredibly popular. It had decorative legs and hidden burners. It even had finishes that looked like marble or wood. Fancy. Before the 1950s there weren't many options in kitchen appliance colors. Once people had options, they went for colorful kitchens. Popular colors included various shades of blue, pink, green and yellow. Eventually, by the 1940s, both gas and electric ovens had timers and some automatic controls. Women everywhere were in cooking heaven. The Easy-Bake Oven was first sold in 1963 and targeted little girls who wanted to bake just like their mothers. Bye, bye wood and coal! Hello, easy cooking without the fuss and mess. Running an electric oven for 20 minutes uses as much energy as watching TV for 3 hours. The wacky, wild world of cooking wasn't done just yet with inventions that made cooking easier. In 1946, Dr. Percy Spencer was working with microwaves. He had a bit of a sweet tooth and had a chocolate bar in his pocket. It melted due to the microwaves. Being the inquiring mind that he was, good ol' Percy decided to do some experimenting. Next thing you know, the man had invented the microwave oven. Not everyone jumped on this ship right away. People were kind of freaked out. In fact, they wanted nothing to do with the radiation machine. They thought it was too dangerous. It wasn't until about 1967 when people finally accepted microwave ovens were not, in fact, the devil and started using them in their homes. Still, they didn't really start selling well until the 1970s. We can laugh a little since everyone pretty much has one today. You probably even use yours on a daily basis. Thankfully, safety is kept in check by the U.S. Food and Drug Administration. The FDA ensures the leaked microwaves are kept to a minimum through safety standards. So, no worries, people. Keep on nuking that food. Well, that brings us to the ovens of today. They are pretty crazy. If someone who was stuck using a wood-burning oven saw one of our modern ovens, someone would be accused of witchcraft. Our ovens are so high-tech that you have to read the owner's manual just to know how to operate them. Of course, you will still find simple ovens on the market. You know the ones that won't break the bank and that you can operate without an advanced degree. But, you have to admit, the high-tech ones are pretty nice. They practically remove any guesswork from cooking and clean up is a breeze. The self-cleaning feature on an oven can get to temperatures of up to 1000 degrees. You'll find features like presets that allow you to put food in the oven and press a button. That's it. Press a button and walk away. They have automatic timers, different cooking modes, fancy finishes, and even wireless connectivity. That's right. You can operate your oven from your smartphone. You only have to be near it to put stuff in and take stuff out. But hey! We all know one day we'll have a robot maid that will even handle those tasks for us. If you see moisture on the inside of your oven door, check the seals. This is a sign one has gone bad. ​The downside to all this is the cost. You can find ovens for around $500, but they sure won't have all the nifty upgrades. They will be those simple ovens that you have to turn knobs or press buttons to operate. For an oven with all the bells and whistles, you are going to spend at least a couple thousand dollars. You are looking at spending at least $4,000. Here's something else: Today's ovens are usually gas and electric. You can get a wood oven, but ironically, they are the most expensive. That said, have you ever had brick oven pizza? That old-fashioned wood cooking tastes pretty great. Another modern oven type is the convection oven. You will typically find a convection setting on your oven. People don't usually just buy a convection oven for home use. These ovens use air for better cooking. They include a fan and exhaust. When you begin the convection cooking mode, the fan will circulate the air around the food. 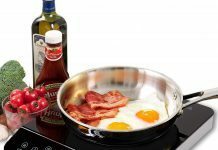 Convection cooking is quite popular because it will speed up cooking, which saves energy. It also allows for more even cooking since the heat is being circulated. Convection cooking isn't good for every type of food. They aren't great for any type of food that has to rise because the air hinders the rising process. Maybe you didn't start out your day wondering about the history of ovens, but I'm pretty sure you're now glad you read this. The twisted history of how we cook and how we got to the ovens we use today is interesting. There were so many people who worked hard to make ovens what they are today. And while cooking was a necessity, it wasn't always fun. We have to tip our hats to our ancestors who had to deal with open flames, wood smoke, and chaotic temperature control. If we had to cook today like they did back then, I imagine there would be a lot of hungry people. We are a little comfortable with all our modern inventions. What oven invention from the past are you most grateful for? Tell me in the comments.